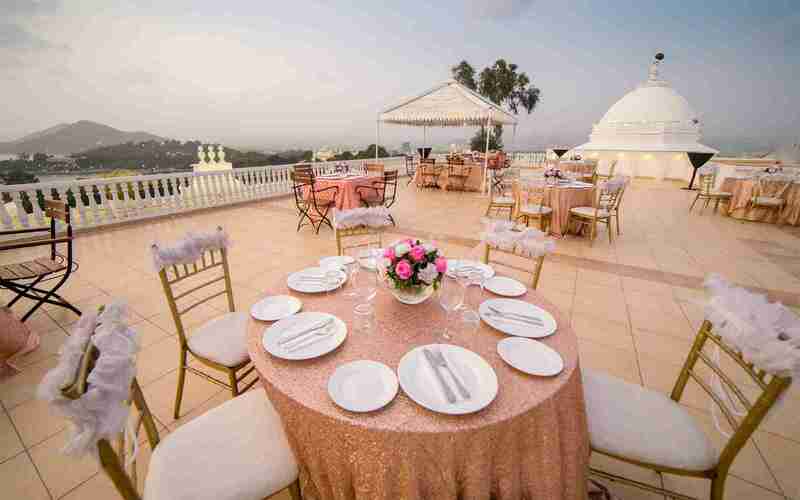 Be on top of the world, feeling on top of the world! 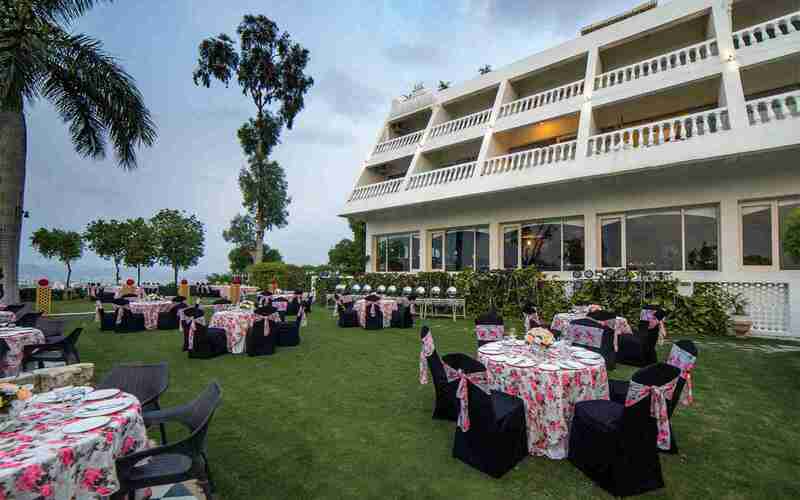 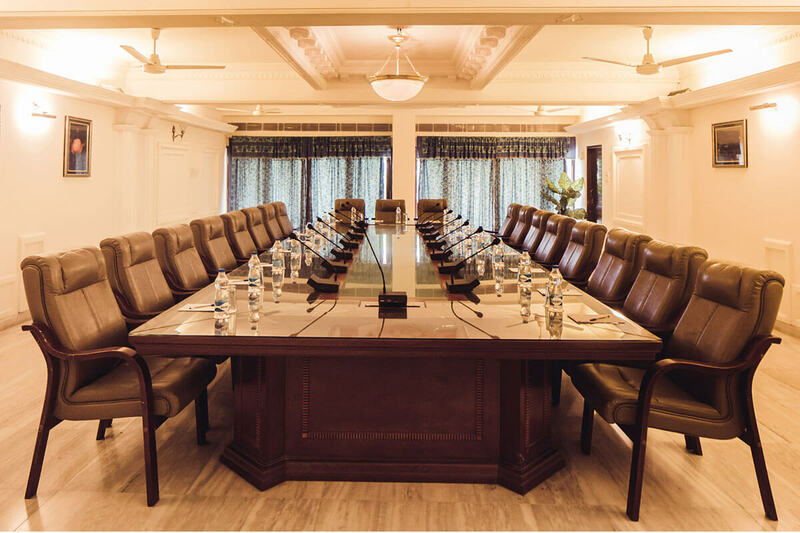 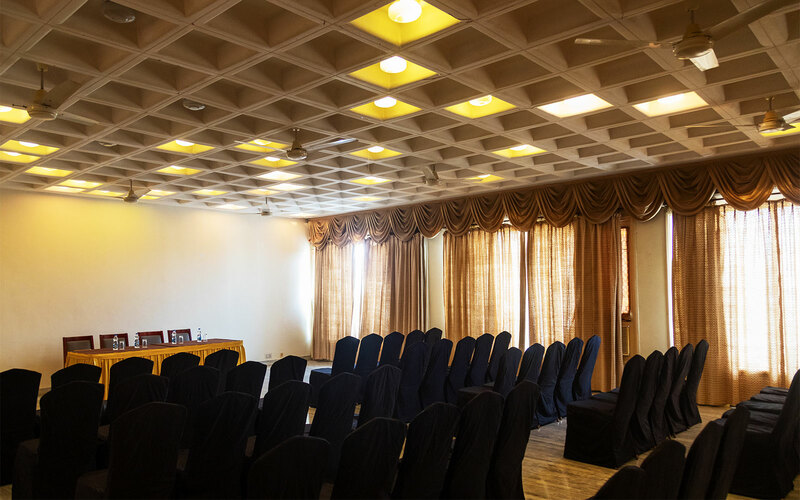 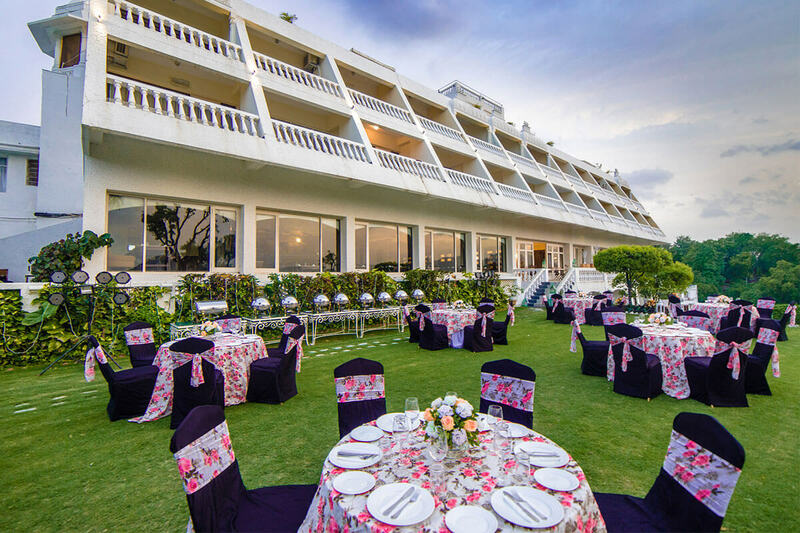 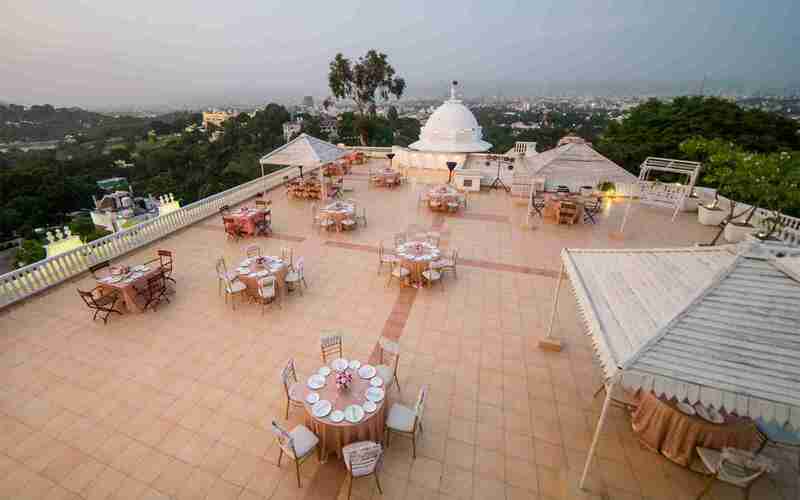 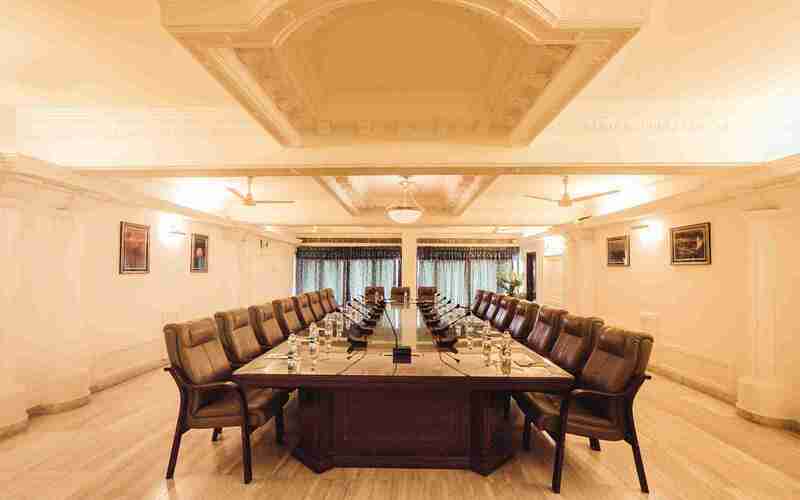 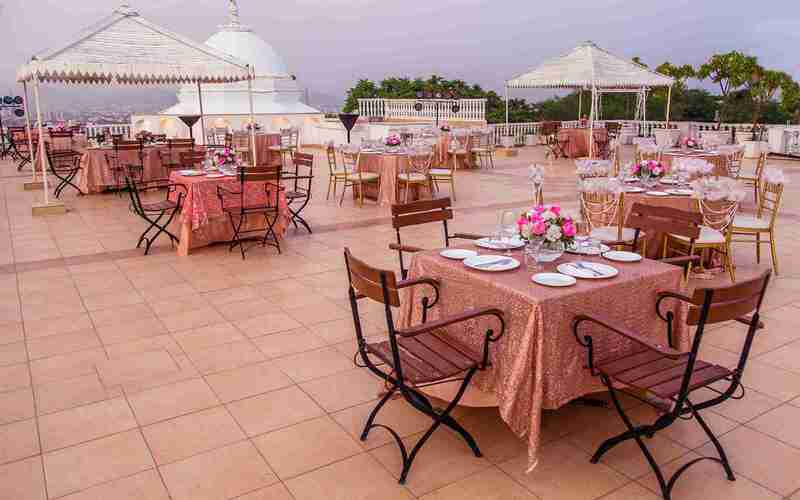 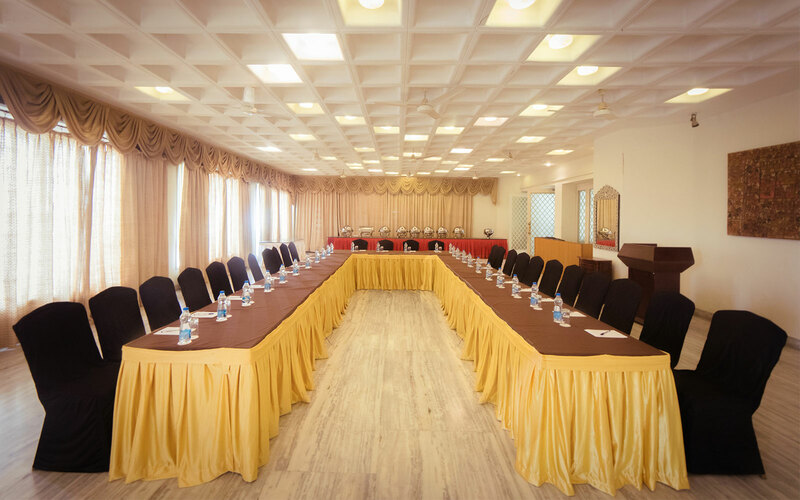 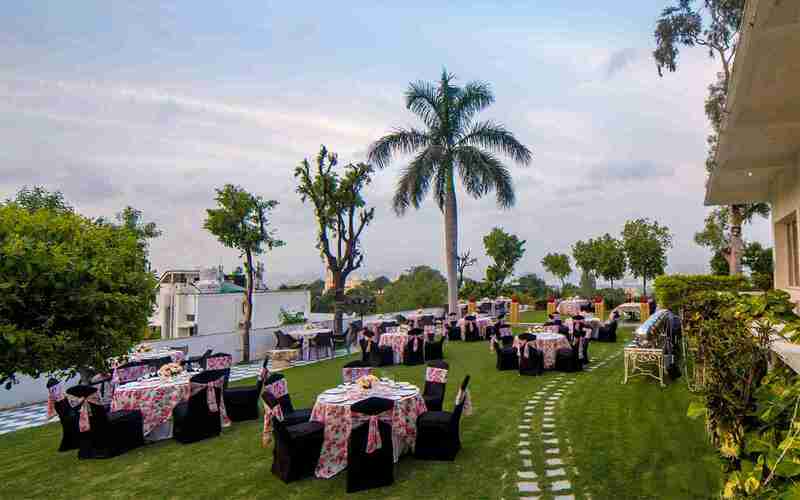 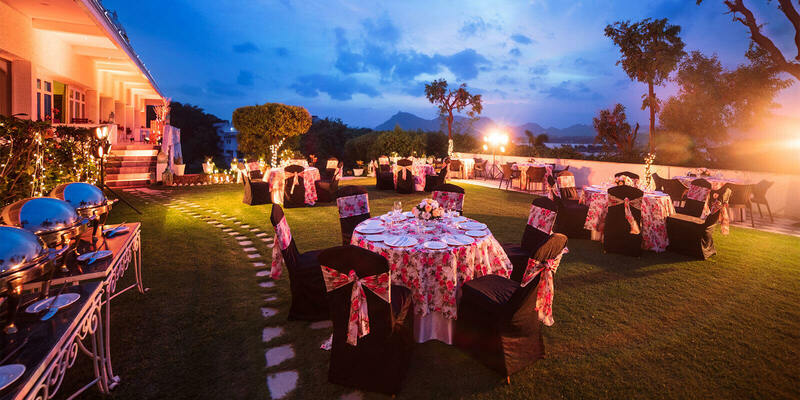 A special occasion deserves a special location and we, perched at the very top of Udaipur, offer such an exclusive opportunity to make your occasion as enchanting as you want it to be. 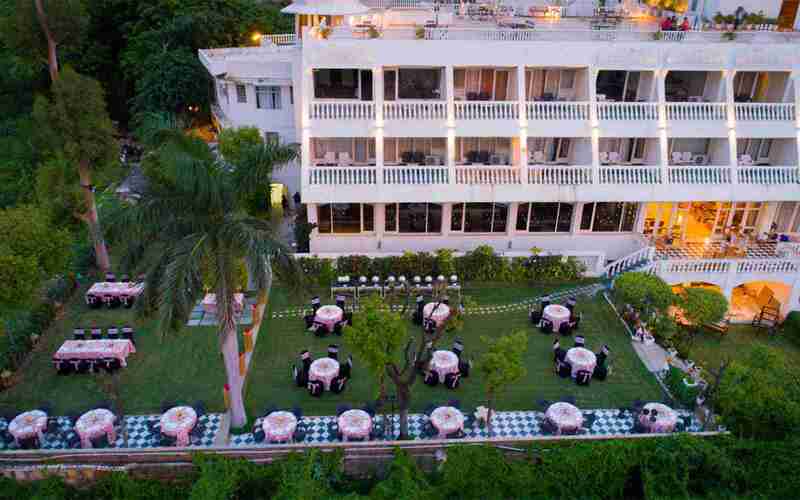 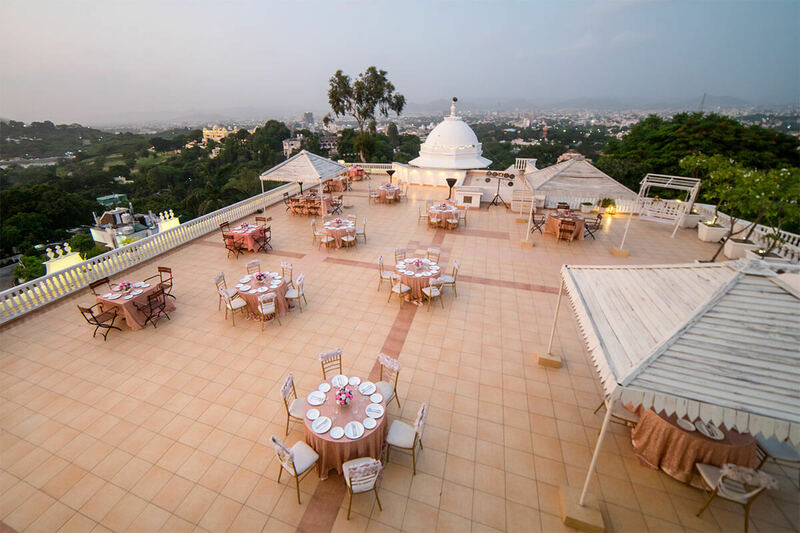 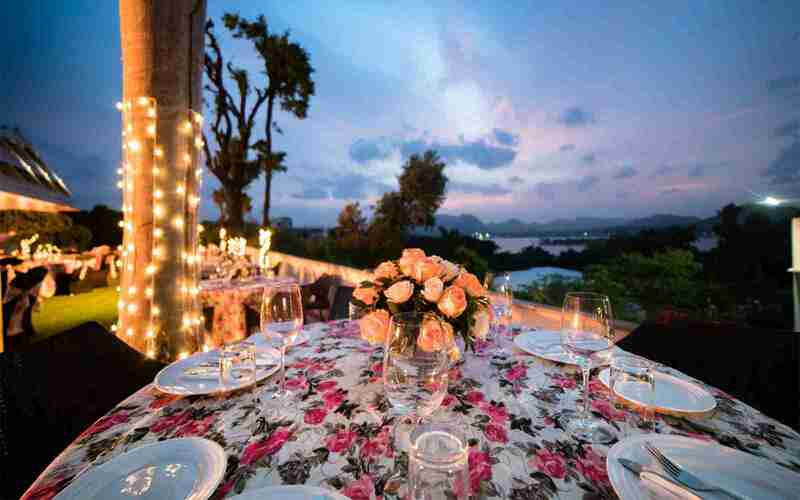 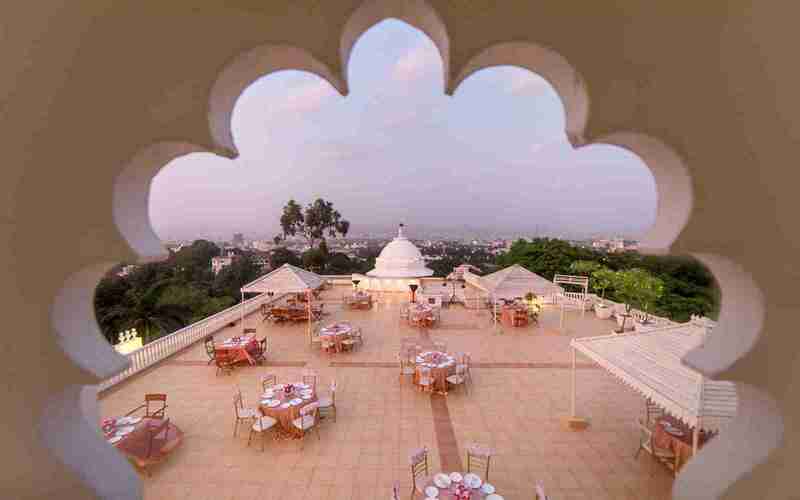 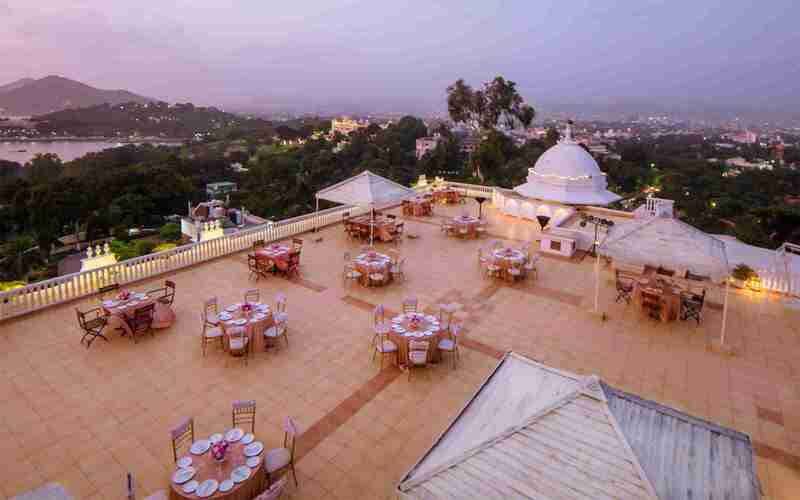 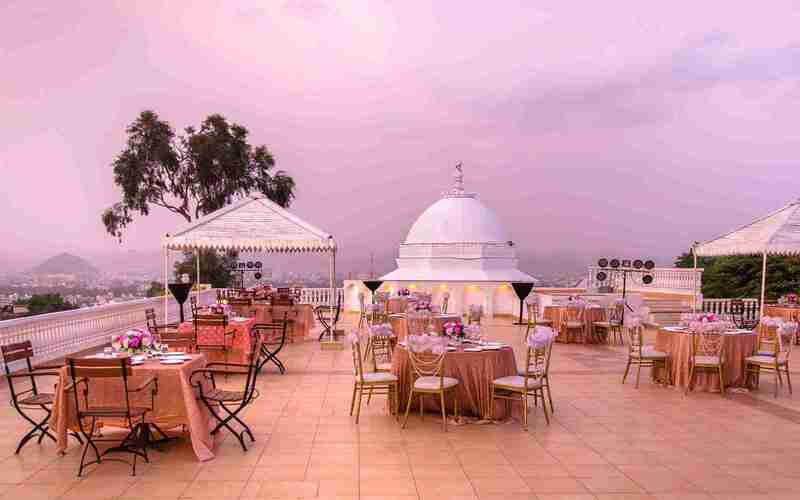 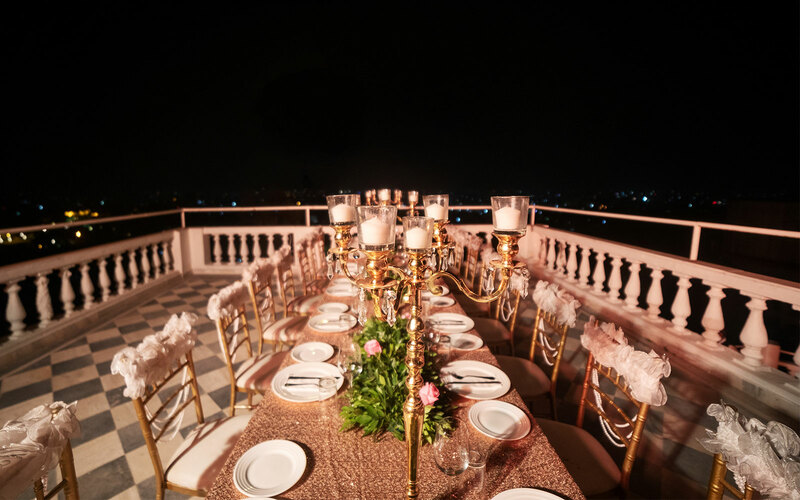 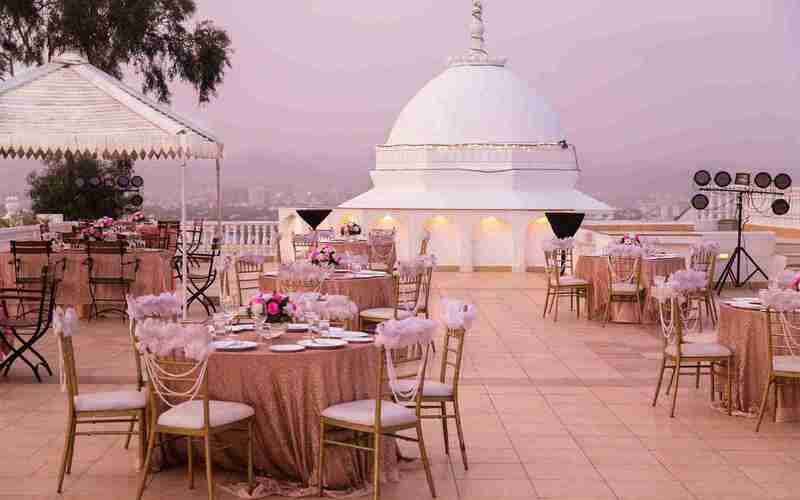 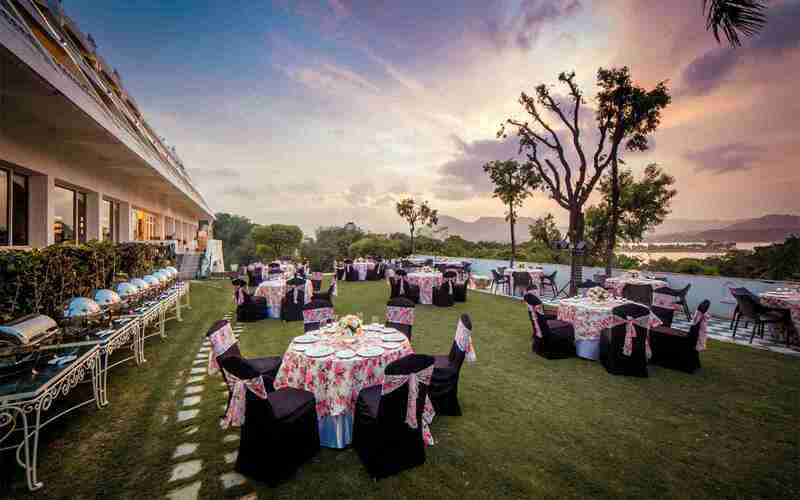 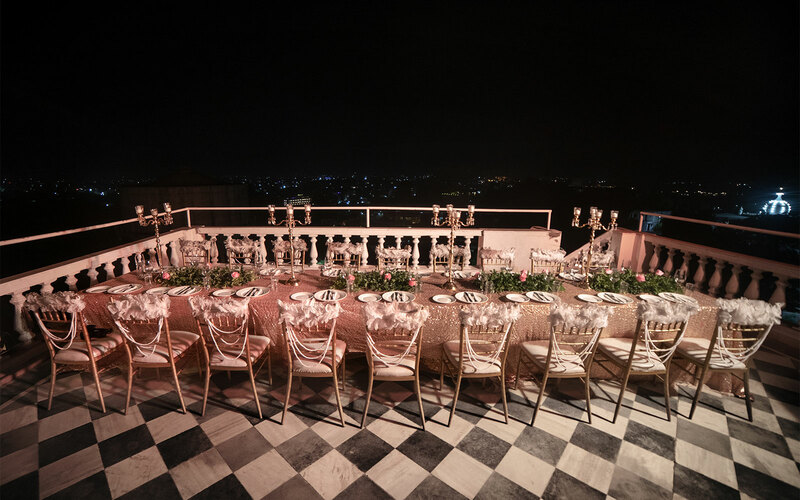 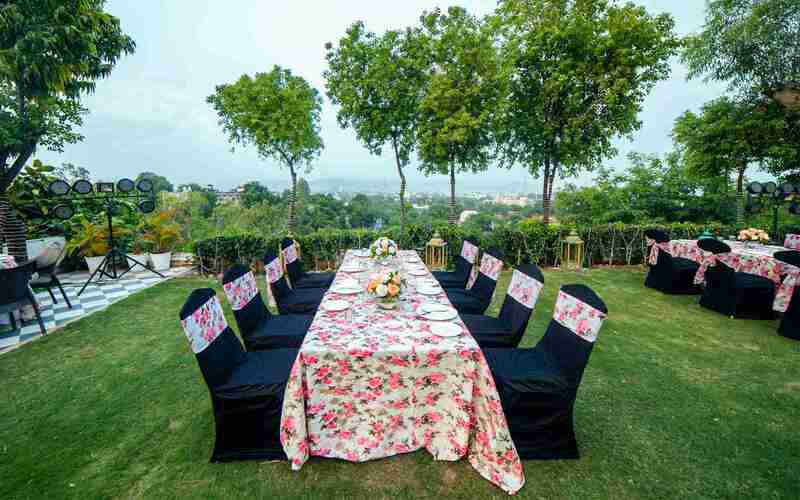 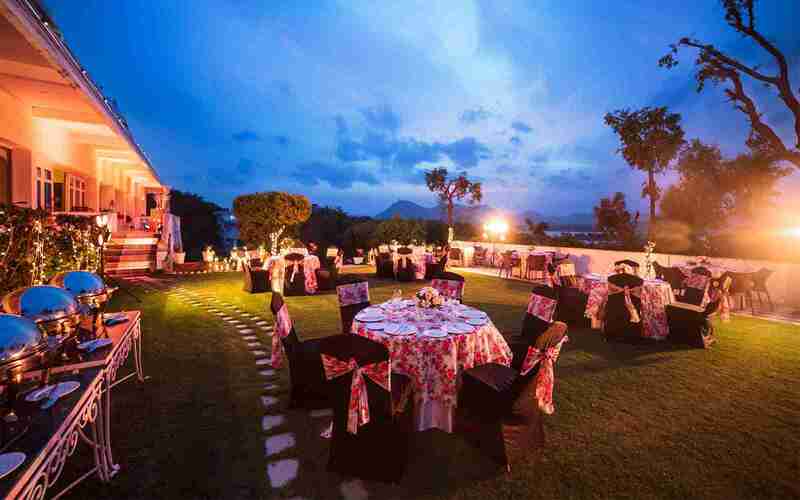 Dreamed of a surreal wedding or intimate function overlooking the gorgeous city of Udaipur? 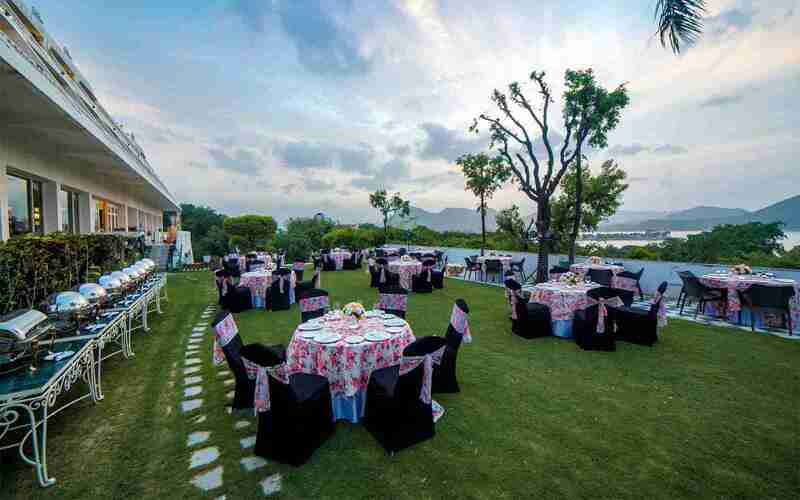 Then here is where your dreams can come true, a delightful ambience with a lake view that takes the cake. 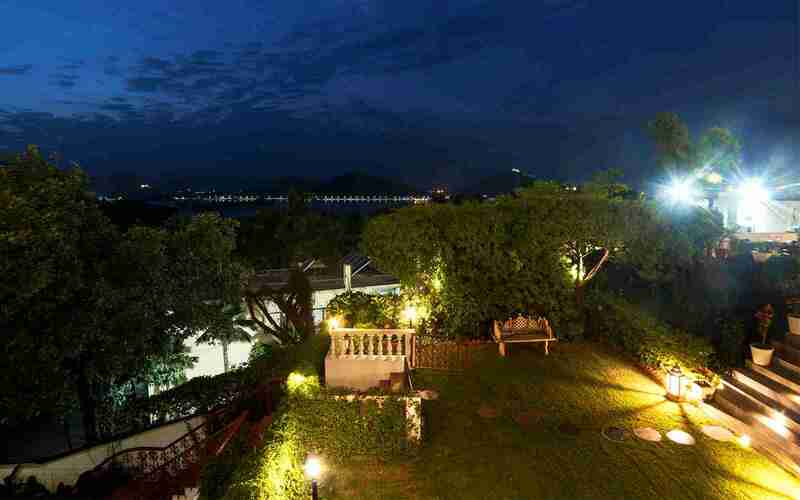 Enjoy the lush green view with cool breeze. 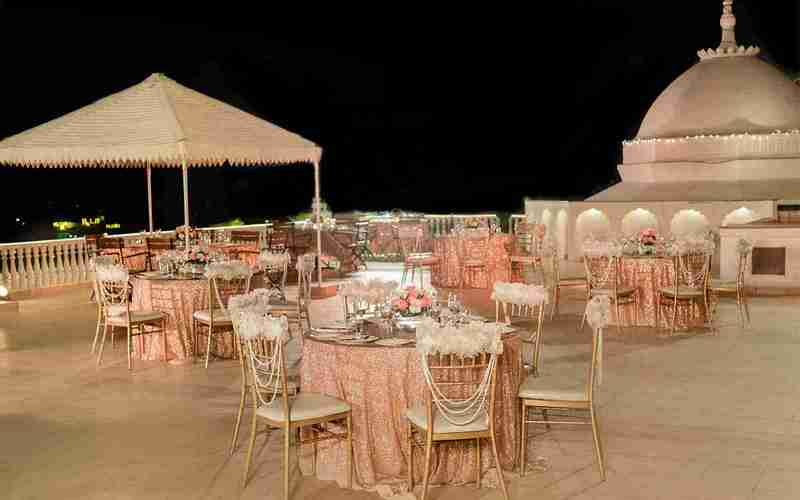 You would want your function to be rosy and pretty. 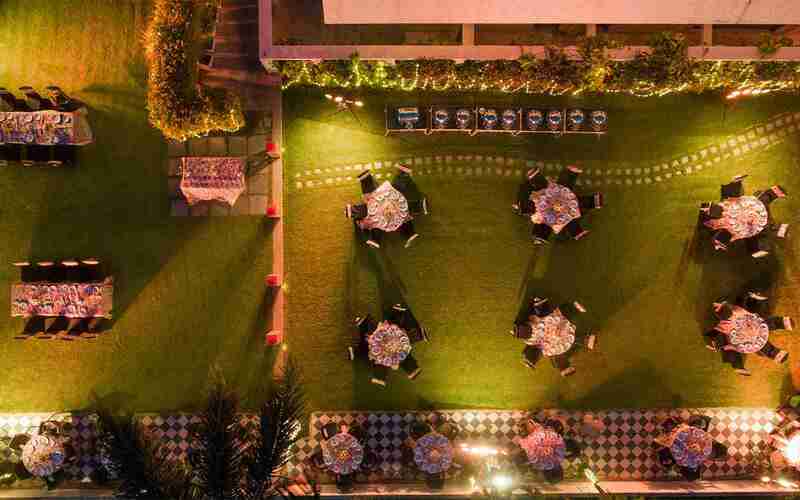 The Garden is an ideal spot to host any kind of event and make it as memorable as you dreamt it to be. 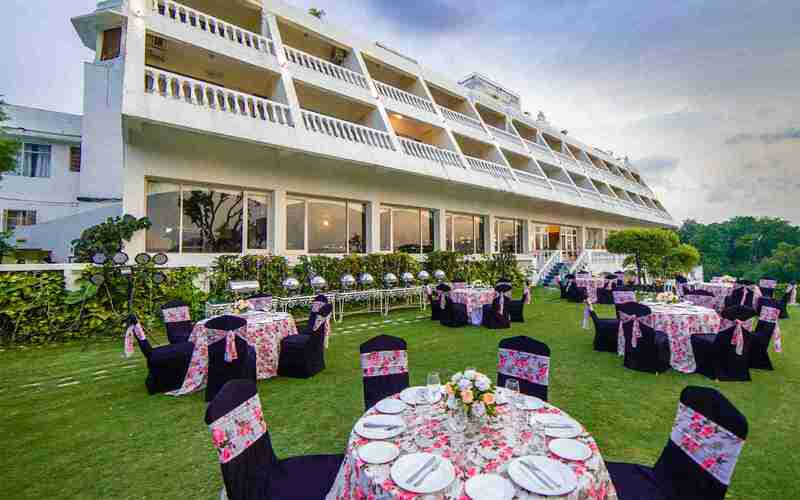 This venue can be set up for 200-300 pax with buffet for functions like engagements, weddings, small parties and cocktails. 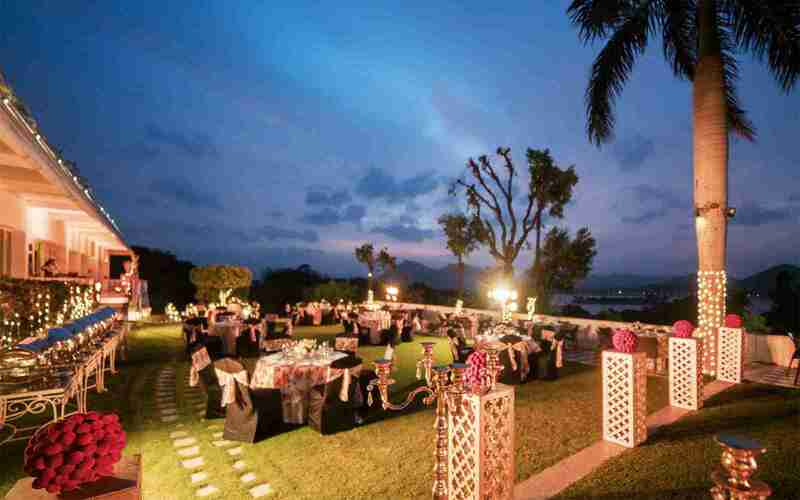 With the serene lake as a backdrop, Jannat can be transformed into that special place where dreams come true. 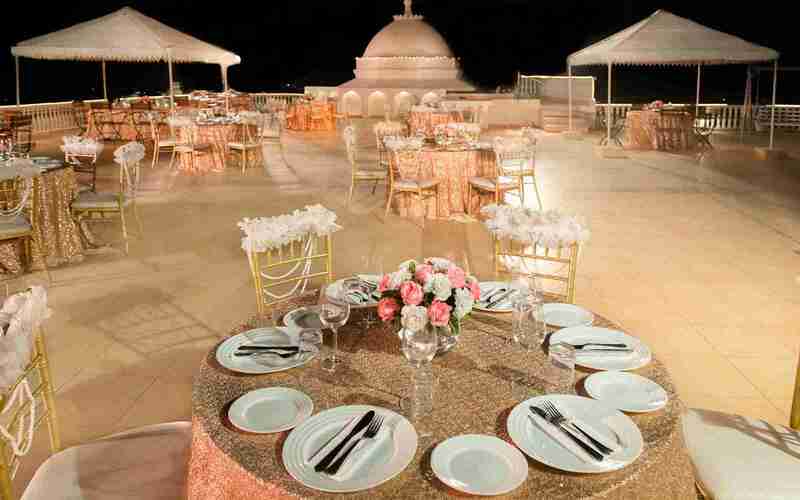 Your very own happy place you can look back and revere forever. 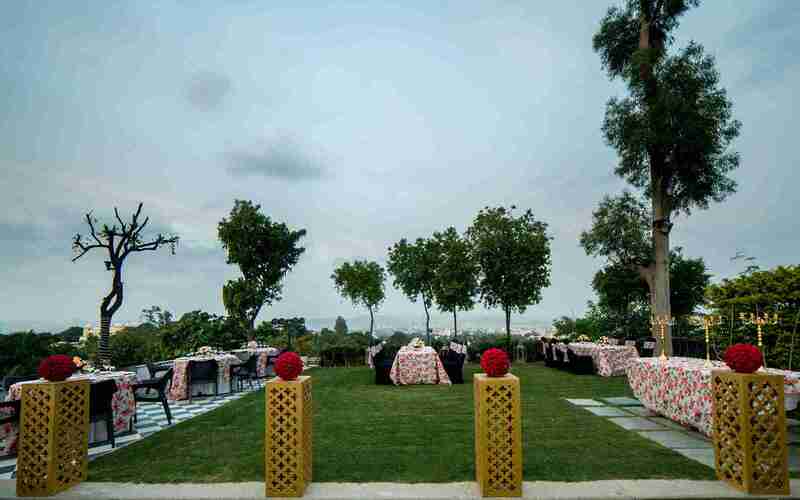 This venue can have arrangement for 250-300 pax with buffet and drinks. Have a smaller, more intimate function in mind? 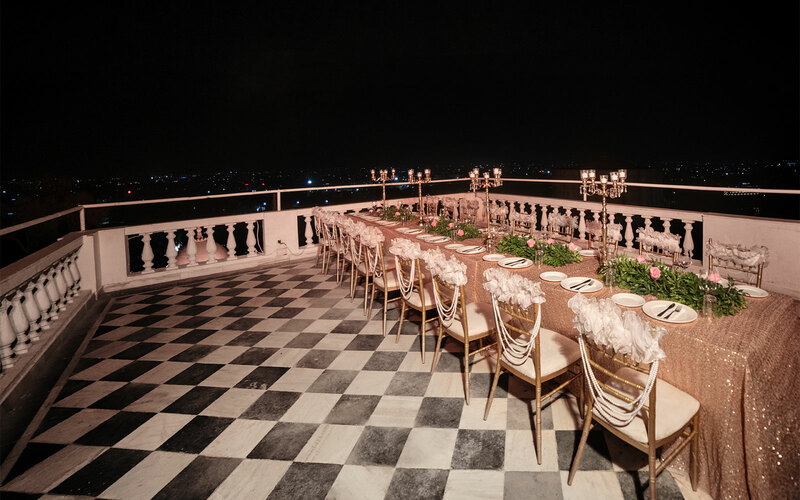 Then get ready to rule the roost at the very top where we can arrange private dining for 20-30 guests exclusively. 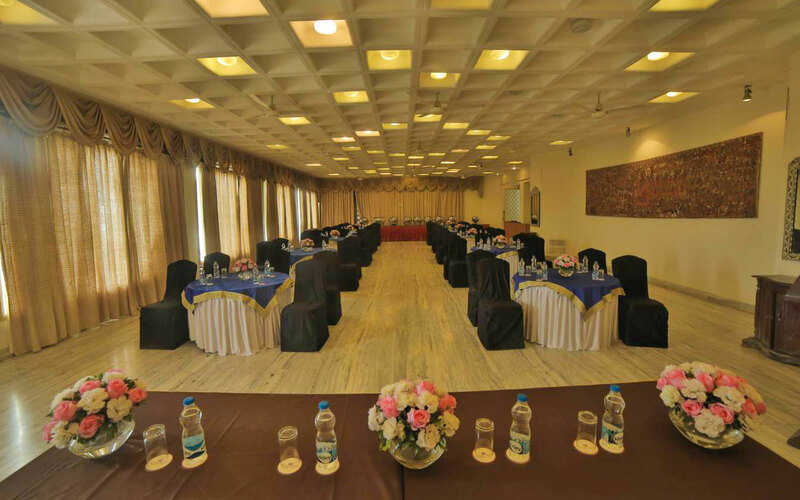 The hotel is capable of looking after the A-Z of any corporate event. 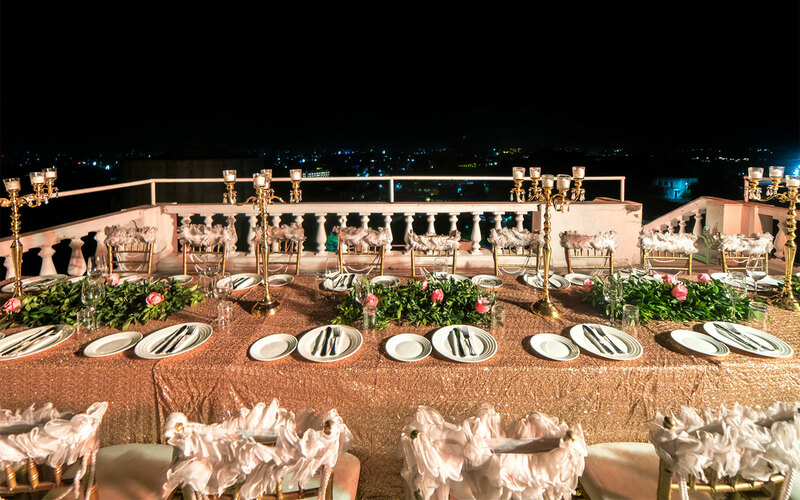 By letting us know the exact requirement we will pull all the stops to ensuring that the event goes on seamlessly and without a hitch. 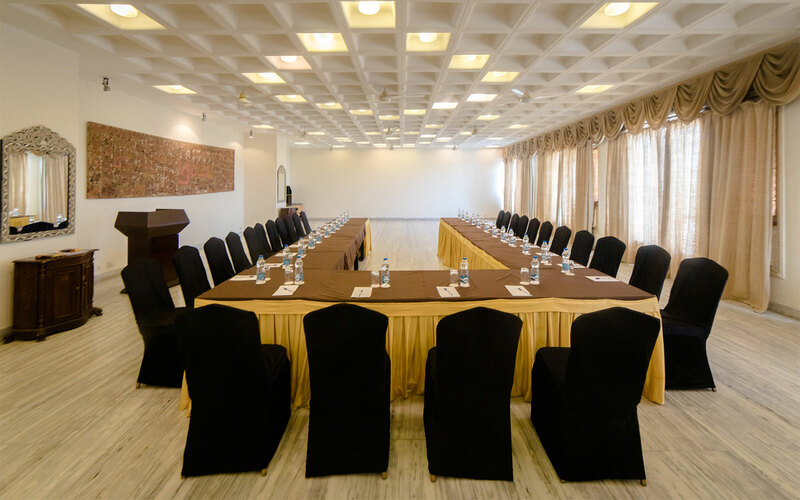 An ideal place for office workshops, important meetings with delegates coming from different regions and any other corporate requirement. 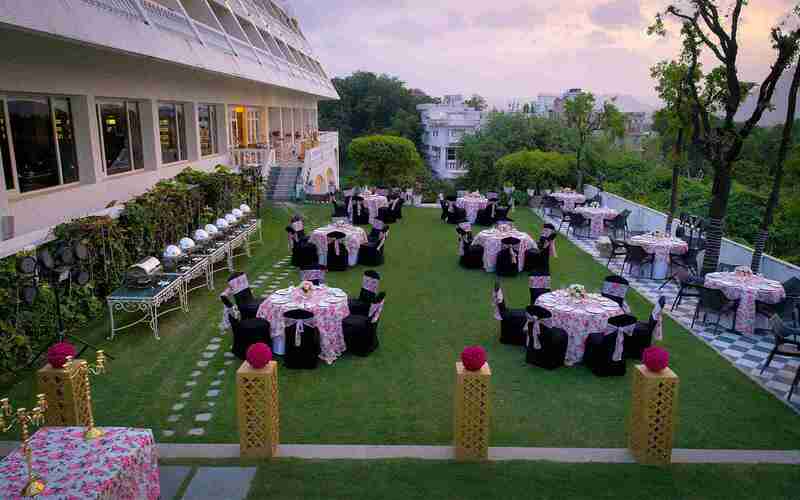 For smaller gatherings, a close-knit ambience that levels with the stature and importance of the event at hand. 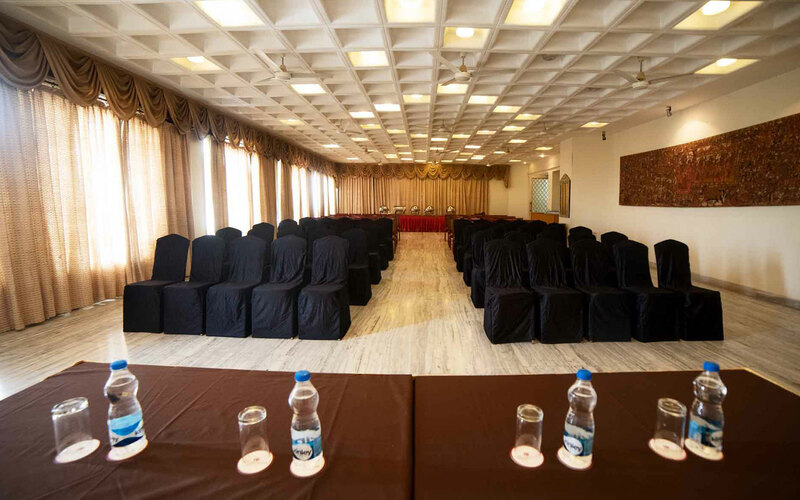 A 20 seater with all meeting equipments, projector and food packages. 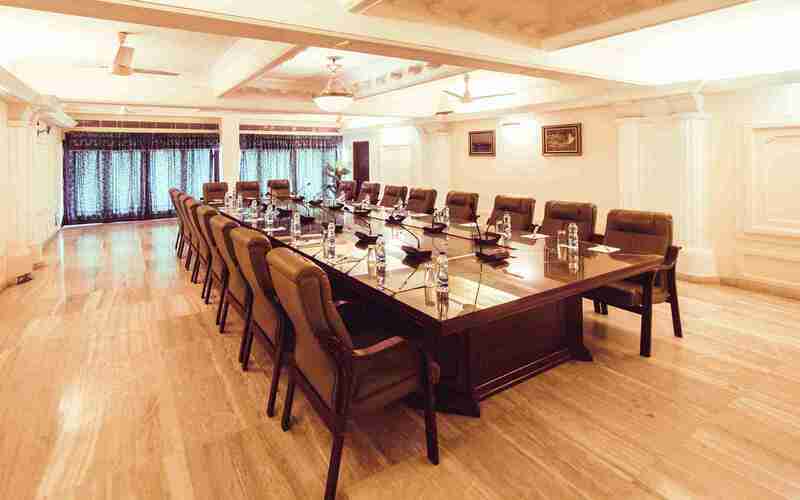 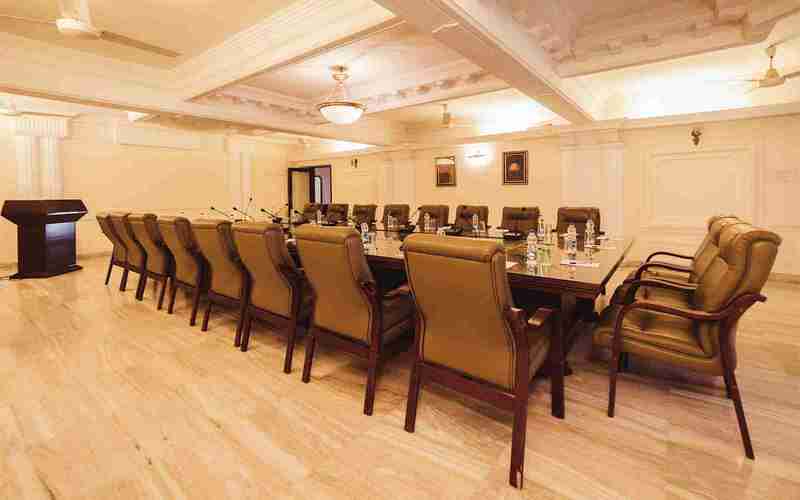 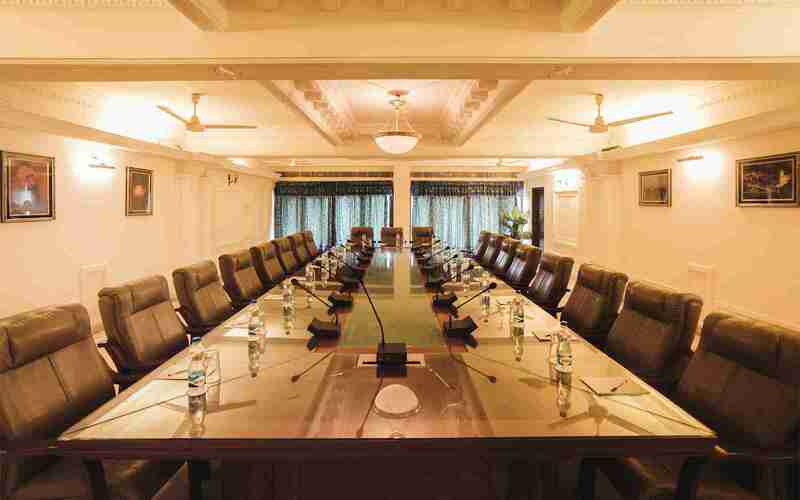 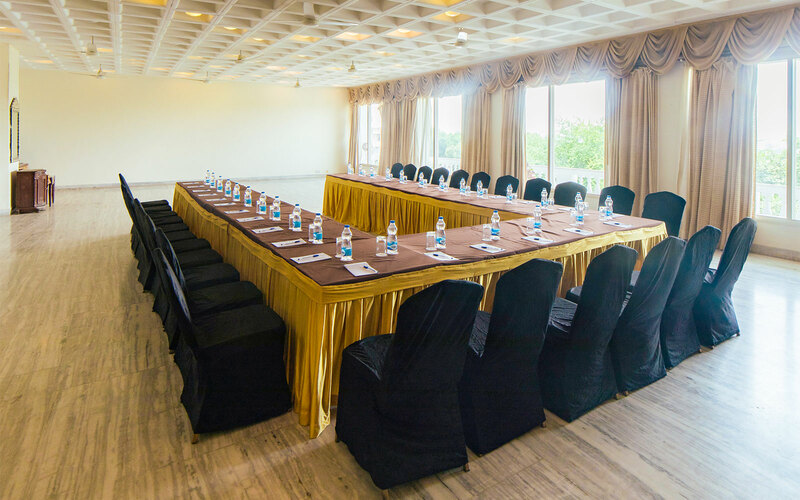 Make your corporate meeting successful with us. 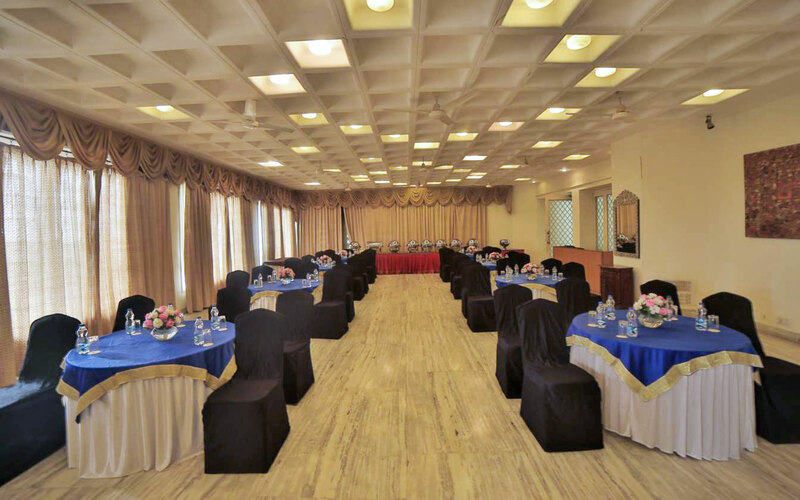 For larger corporate events, where attention to detail is essential and all requisite conveniences are provided. 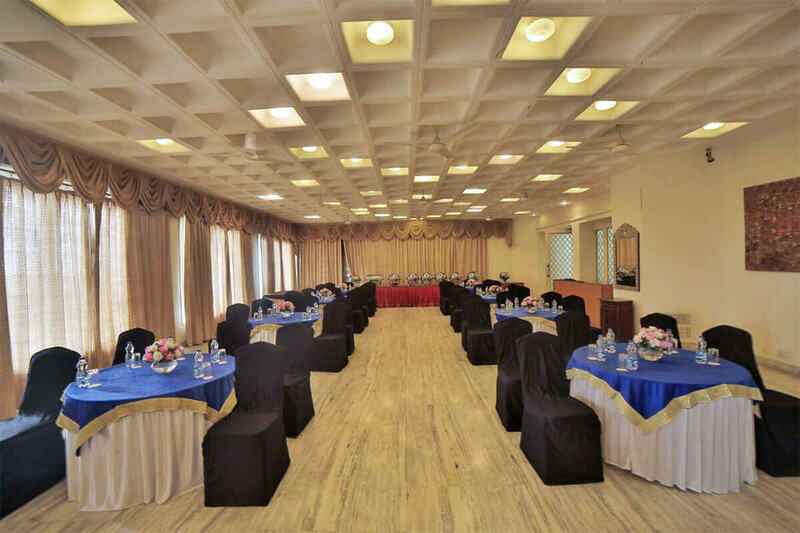 250-300 pax with any type of setup and all office equipments.